Today was a Public Holiday and I went hiking with Tom and Kath, whom I have know for about 15 years, and two friends of theirs. 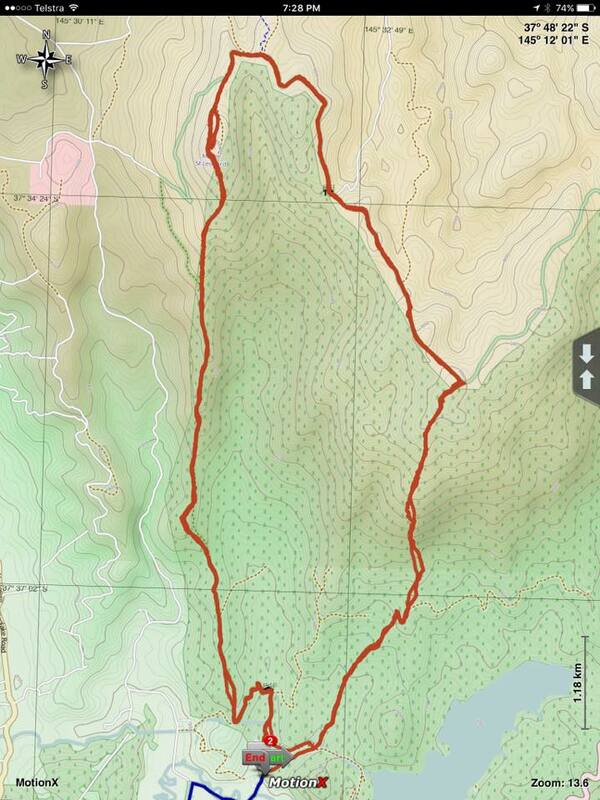 The hike was from Donnellys Weir up to Mt St Leonard and back to Donnellys Weir. http://www.trailhiking.com.au/donnelly-weir-mt-st-leonard All up the journey was 23.6 km with total climb of nearly 1300 metres. This was a tough walk in the park! I’ve activated VK3/VC-006 Mt St Leonard before in 2013. 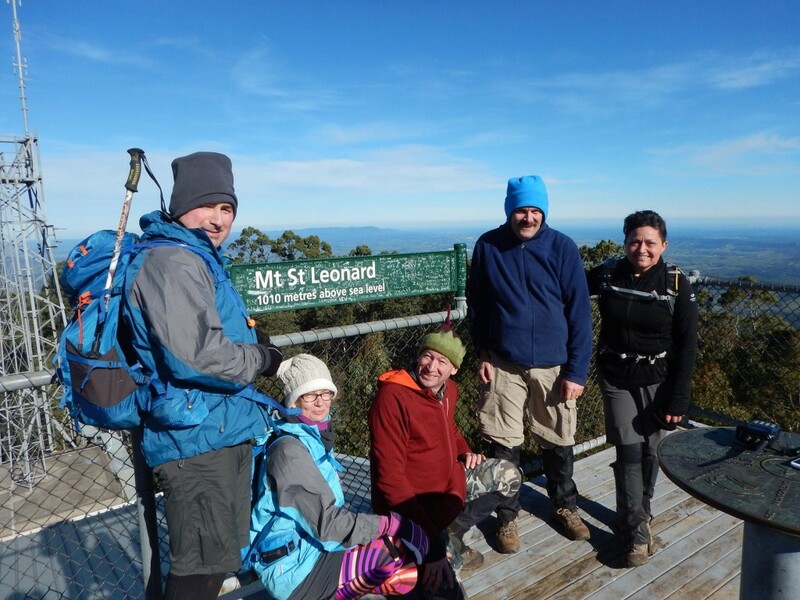 We left the weir about 7:15 am and made it to the Mt St Leonard summit at 12:30 pm. Whilst the others in the hike party were enjoying the view and having lunch I was able to get 4 quick contacts on 2m. 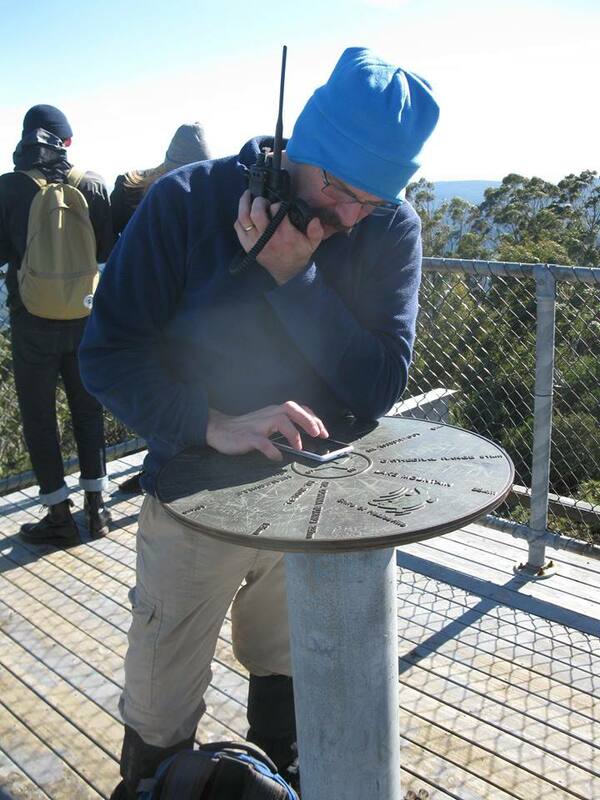 One contact with Glenn VK3YY was a summit to summit with Glenn being over at Andrew Hill VK3/VN-020. Mt St Leonard is also within the Yarra Rages National Park, VKFF-0556. After lunch we walked back down to the weir arriving at about 4:30 pm. this is, without doubt, the toughest SOTA activation I have done so far. This entry was posted in Amateur Radio, KRMNPA, Radio awards, SOTA, WWFF. Bookmark the permalink.